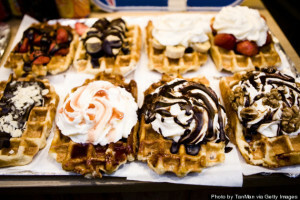 We may have lost the soccer match (and the epic match that was identification of waffle varieties), but even still, you can’t totally hate on Belgium. 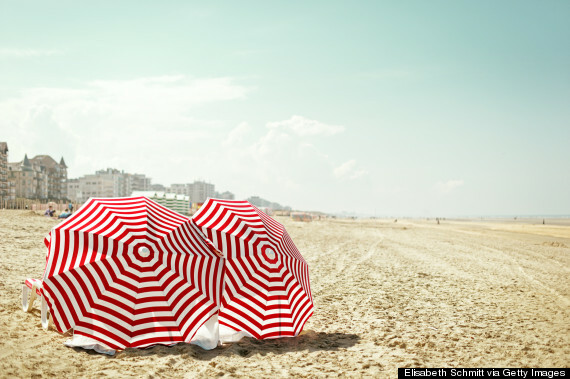 …many beaches. We recommend De Panne, an “endless” strip of colorful huts and umbrellas. 2. 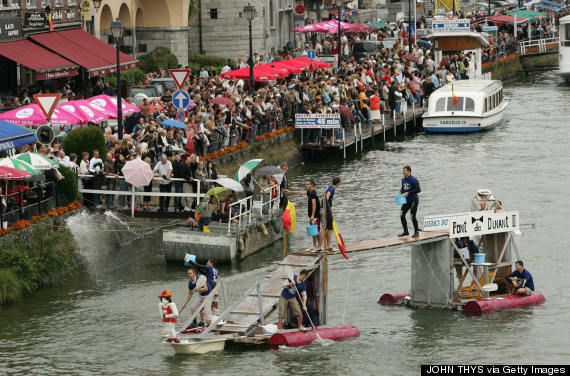 The International Bathtub Regatta. This year’s theme is “The 80s.” Prepare your eyes for oodles of funkadelic bathtubs, rafts and water slides — yes, water slides — floating down the Meuse River. 3. There is a literal carpet of flowers. 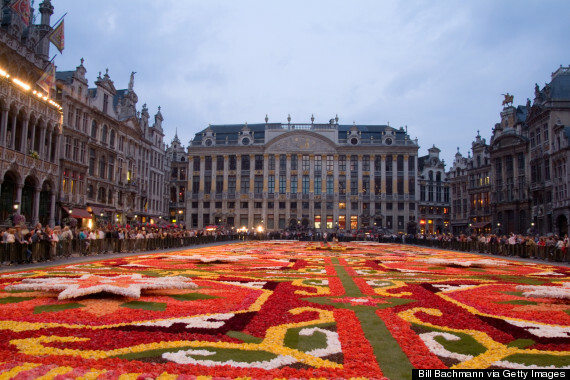 Every two years, the ground in Brussels’ Grand Place transforms into a endless, patterned field of begonias. This year’s “giant floral jigsaw” will be constructed in a matter of mere hours on August 14. 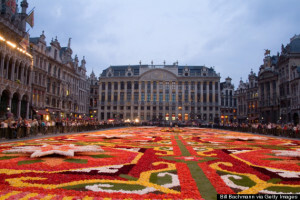 Night exposure of the beautiful Grand Place with the famous Flower Carpet surrounded by ornate buildings. 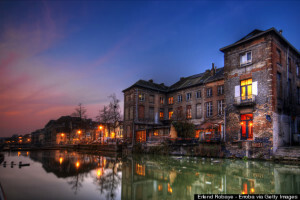 Brussels, Belgium. 4. The Carnival of Binche is a total hoot. Where else are you going to see men parading as Incan-inspired clowns in ostrich feathers and clogs? 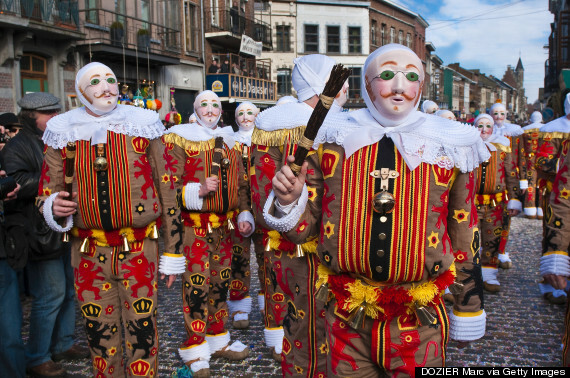 …nowhere, and that’s why The Carnival of Binche is a UNESCO site of Intangible Cultural Heritage. 5. Street cafes are part of Belgian culture. 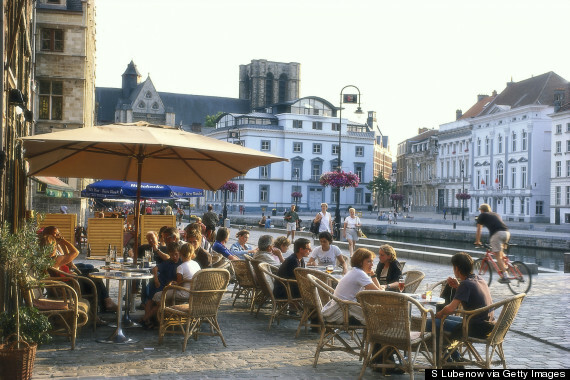 The medieval port town of Graslei, in Ghent, is especially charming for a midday snack. 6. 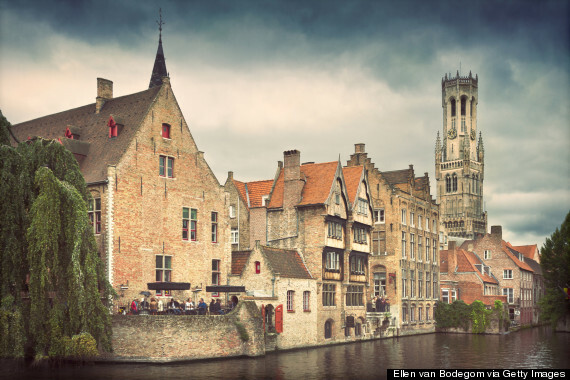 Mechelen is a history buff’s (and fish lover’s) dream. Halfway between Brussels and Antwerp, this cutesy little town houses a massive medieval tower at St. Rumbold’s Cathedral. History fans will have a field day in palaces, a brewery-turned-heritage-center and a walloping eight historic churches. 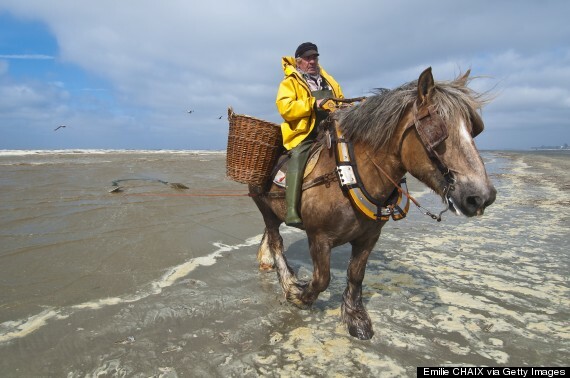 Don’t forget to swing by the fish market! 7. Old traditions are alive and well. 8. 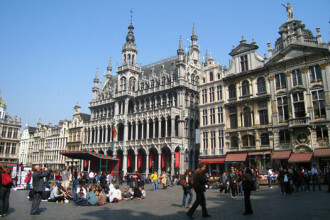 Grand Place is even grander in person. 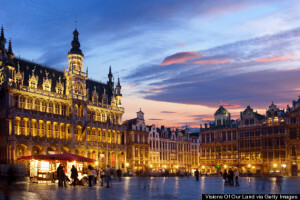 This twinkling square is bordered by an 1800s stock exchange and Hôtel de Ville, the only building that survived when Louis XIV bombarded Brussels in 1695. In this classic Belgian dish, ham and endive drown in sauce and melty cheese. Mmm. 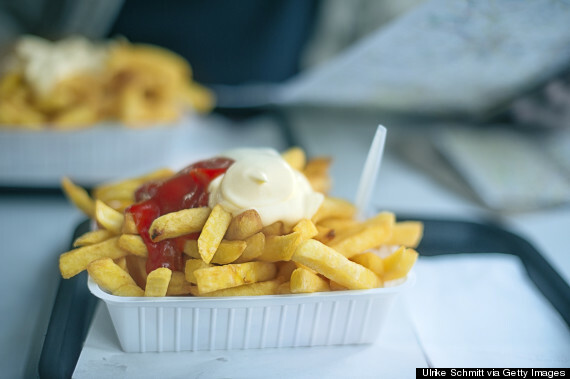 Belgian, not “Belgium” ones. With deep, deep holes and chunky, chunky sugar, they’re sold on many street corners. 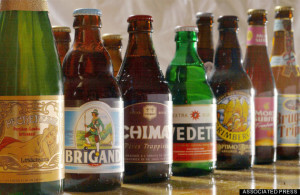 The “abbey beers,” called dubbels and tripels, were originally brewed by monks. Find your favorite at one of Brussels’ scary-big beer shops. Okay yes, we love Belgium mostly for its food and drink. Can you blame us? It’s like a dollhouse, but for people. 14. The chocolate museum has TOO MANY samples. 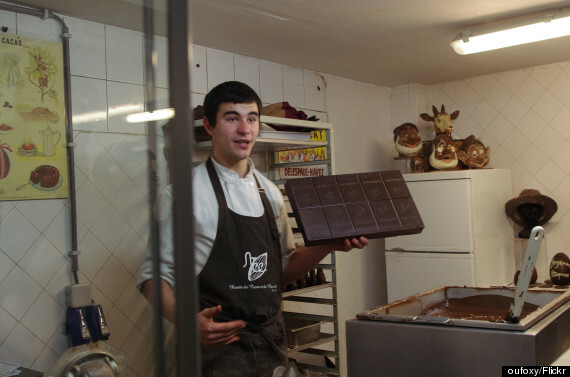 Kindly folk at the Museum of Cocoa & Chocolate will demonstrate how to make Belgian pralines, those authentic morsels of chocolate and fondant. Then, you’ll taste. Lots. 15. Cirque Royal is an utterly delightful concert venue. 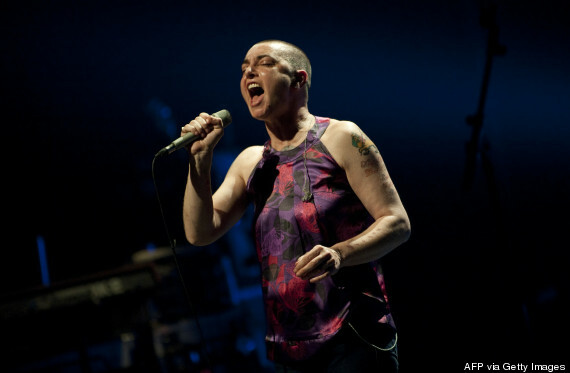 The “converted indoor circus” now hosts dance, operetta and musical acts like Irish legend Sinead O’Connor. 16. 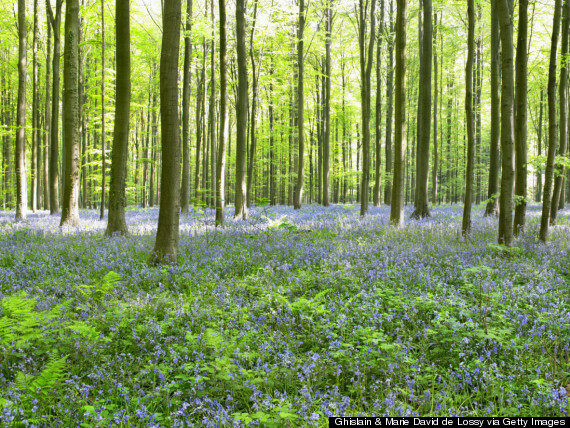 Fairytales probably take place in these forests. 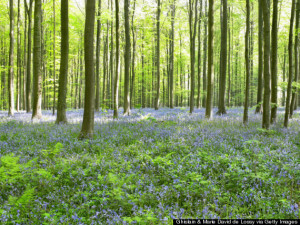 The Hallerbos blossoms with bluebells every spring. 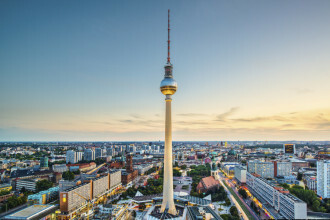 It teems with squirrels, buzzards and tadpoles, and there’s even a forest museum. 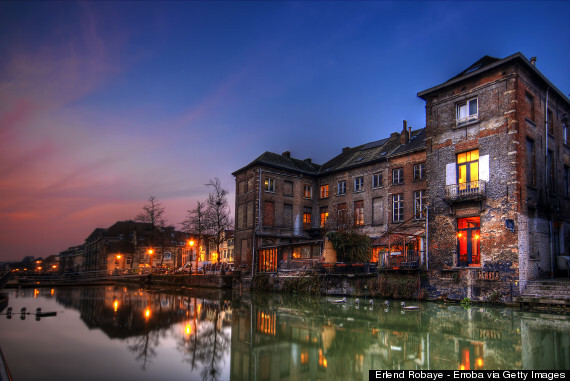 Scratch that, we think this WHOLE COUNTRY is one big fairy tale.